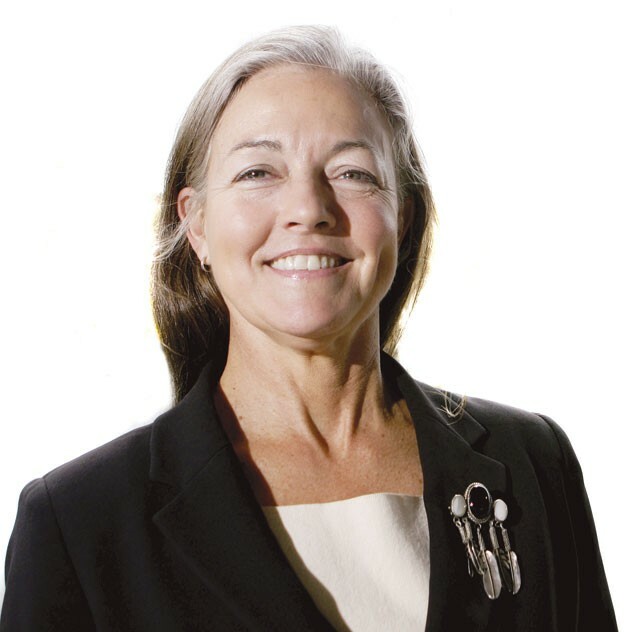 Mary Verner is Spokane’s 43rd mayor, elected in 2007. Her term runs through 2011. Mayor Verner, 54, has an adult daughter, Diane, a young son, Daniel, and two grandchildren. So many things make me happy! Top of the list is celebrating with individuals who have accomplished big goals in the face of big obstacles. I love their sense of triumph and achievement, and like being present when good things happen to good people who have worked hard and deserve the rewards they have earned. Physically, I ride my bike and walk, plus swimming and other exercise when time allows. Because my exercise time is limited, I try to eat fresh, healthy foods and watch my calories. Mentally, I learn something new every day and still have a great love for learning. Spiritually, I begin and end each day with prayers of thanksgiving and request for guidance, and throughout the hours I try to maintain my sense of wonder at the grandeur and mystery of this complex world in which we live. Whenever I feel stressed or upset, I remind myself that life is worth the living and over before we know it. Thus, I can better evaluate whether the situation is worth being upset about if I knew that I, or a loved one, could be gone tomorrow. How could you feel happier in 2011? Take more time to simply enjoy my family and friends. Laugh more. Get more exercise and more rest. Otherwise, I’m very happy and hope for more of the same in the new year! Is there anything you plan to do to make those things happen? I’m reducing the clutter that consumes time, delegating more, and blocking out a few hours a week that are dedicated to having a personal life with family and friends. I plan to be better about putting negativity in perspective and focusing on the many positive blessings that bring great joy. Eckart Preu has been the music director of the Spokane Symphony since 2004. A native of Germany, he’s 41, married to Neely Preu, and they have a 2-year-old daughter, Sophia. It is my understanding that happiness is not a single event, but a condition. So, working toward happiness is not creating outstanding and enjoyable events but working towards a life condition that makes you happy. It is sustaining that condition that is challenging. Having a fulfilled family life provides the roots of everyday strength. Perpetual learning is of enormous value. We need to always take care of our general knowledge of things in addition to the specialized knowledge that is expected from us. With the realization of considerable deficits of knowledge, it is the ability to satisfy curiosity that makes me happy. Being healthy means to me to be healthy not only physically, but also emotionally and mentally. To that effect, I am working on creating an equilibrium of the opposites that exist in my life: eating healthy without sacrificing too much of what I like; being social without giving up on the isolation needed to study music scores; and being able to make time for family and relaxation without neglecting the need for thorough professional preparation. Being healthy means to me balancing rationality and emotionality. It means to be inspired in order to inspire. It means constant renewal of ideas, methods and relationships. It means understanding — and my daughter taught me that — that there is more to life than work. A universal challenge is the balancing act of work and private life. Being healthy means to me to create conditions under which I can be a good father, husband, friend and music director — and all of that without stress but a high level of comfort, and with a smile. Make more time for my family. Live more in the moment. Tom Sherry is the chief meteorologist at KREM 2 News, and has been with the TV station since 1990. He’s 50, and has been married to Darlene Sherry for 24 years. They have two sons: Michael, 19, who attends EWU, and Matthew, 17, who is a student at Gonzaga Prep. I like what I do for a living, I have a great family, I’m healthy, I like people, I like Spokane, I like the people in Spokane, I like being around funny people, I like sunshine, and I especially like summer. It’s very easy for me to be upbeat and happy, especially during the warmer, brighter months. I took up running about a year and a half ago, and I’m running quite a bit — about four miles a day. I’m trying to be as fit as I can. I like to bike-ride: 20- to 40-mile rides in the warm months, only because I have neighbors who make me do it! I like to water ski in the summer, and I do a ton of boating. I want to keep up the exercise. I’m enjoying the fact that I’m on this fitness path. I feel better now than I have in the past 10 years. I’m enjoying my life. One son is in college and the other is in high school, and I turned 50 last year. My wife and I have a more adult relationship with the kids, and it’s good to see how they’re turning out. It looks like the hard work is paying off! Also, I want to continue getting better sleep. I’ve always worked nights (5, 6, 10, and 11 pm newscasts), so when my sons were young, I’d get up to have breakfast with them, but that meant only five hours of sleep. Now it’s not as critical to have breakfast with them, so I’m feeling more rested, and not so rundown. I would like to run some races longer than Bloomsday. I plan to stay dedicated to running, bicycling and trying to eat a little better and stay positive. I must say, I inherited great genes from my mother — a very positive, upbeat person. I think it takes more energy to be negative. It’s easier on my system, and less stress for me to be a happy guy. Do you know what I mean?